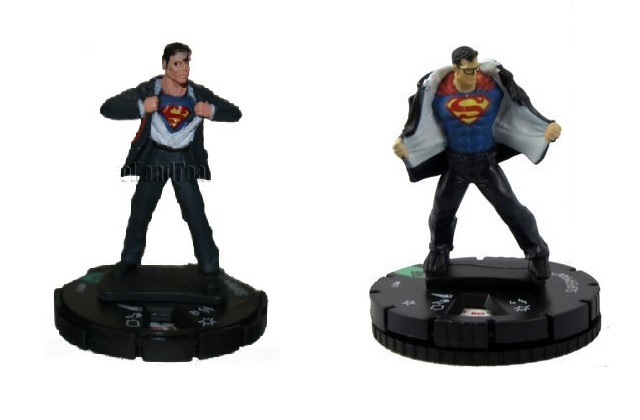 Thes are pretty iconic poses for Superman. And since Supes is both (1) ripped, and (2) wearing really tight spandex, I figured this would be a good way to "flesh" out some more civilian figures. 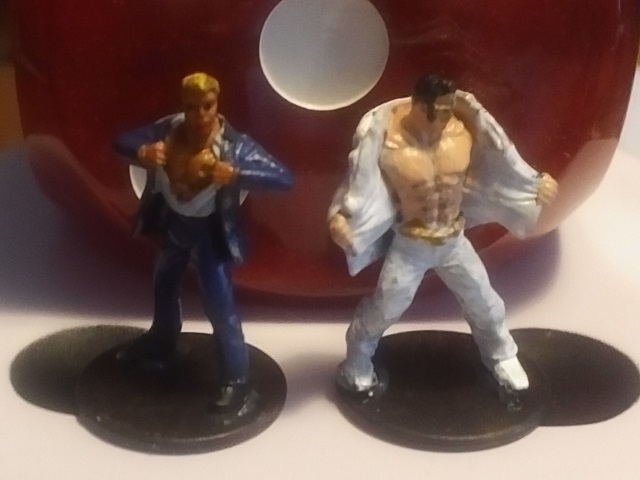 So here's a barely recognizable as a stereotypical cop stripper and a more recognizable personality. I like how the chests and muscularure works out on both of them. 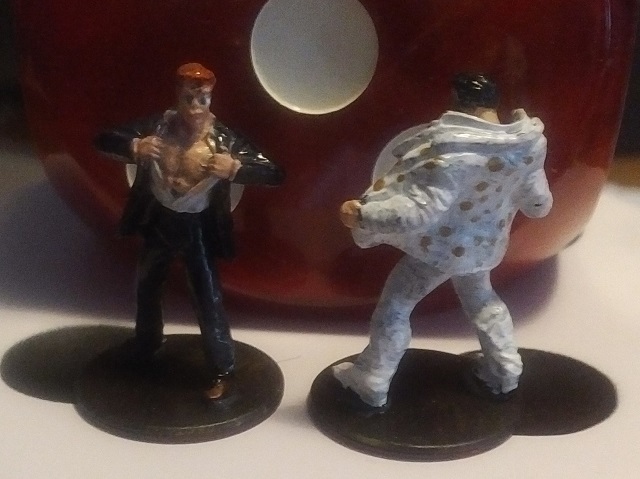 Here's an alternate paint scheme for one of the figures. 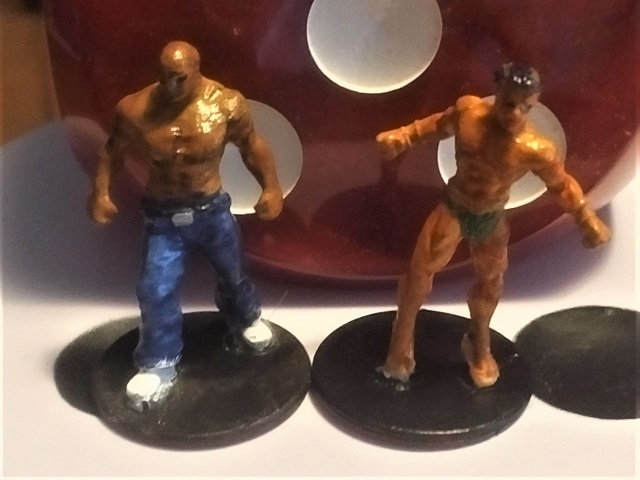 Then, I was thinking what other near-nekkid male figures could fill out a unit of strippers ..? 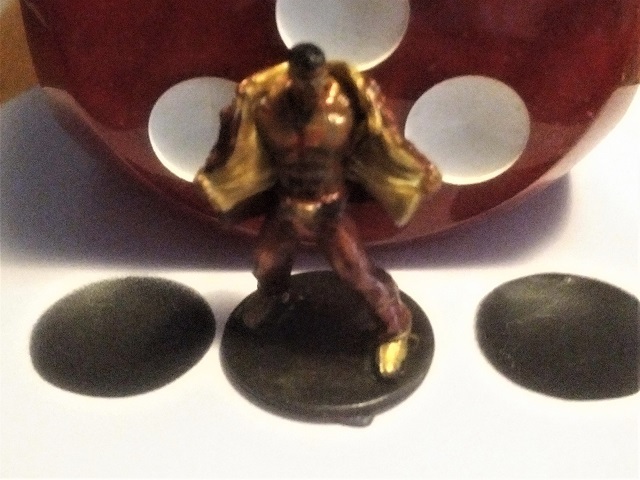 The pix aren't great, but Luke Cage in this one best shows that the clothes (other than sequins and gold lame') are matte sealed, but the skin is "oiled up" - gloss sealed.